Honomu Henjoji Mission, 28-1658 Government Main Road, Honomu, 7 p.m.
Papaikou Hongwanji Mission, Onomea Scenic Route, Papaikou, 6 p.m.
Honomu Hongwanji Mission, 28-1668 Government Main Road, Honomu, 6 p.m.
Puna Hongwanji Mission, 16-592 Old Volcano Road, Keaau, 6:30 p.m.
Kohala Hongwanji Mission, 53-4300 Akoni Pule Highway, Kapaau, 6 p.m.
Daifukuji Soto Mission, 79-7241 Mamalahoa Hwy, Kealakekua, 7 p.m.
Kohala Jodo Mission, Hawi, 8 p.m.
Paauilo Hongwanji Mission, 43-1477 Hauola Road, Paauilo, 6 p.m.
Honokaa Hongwanji Mission, 45-5016 Plumeria St., Honokaa, 6 p.m.
Hilo Nichiren Mission, 24 Makalika St., Hilo, 7 p.m.
Hawi Jodo Mission, Hawi, 8 p.m.
Hamakua Jodo Mission, Honokaa, 8 p.m.
Honohina Hongwanji Mission, 32-896 Mamalahoa Hwy, Ninole, 6 p.m.
Kamuela Hongwanji Mission, Church Row, Kamuela, 6 p.m.
Puna Hongwanji Pahoa-Shibu, Pahoa, 7 p.m.
Much of the Hawaii the world sees today can be traced to the work of Prince Kuhio. His determination and passion for the Islands and its people led him into a life of public service. He served as Hawaii’s second congressional delegate from 1903 until his death in 1922. I mention this because he was the last member of the ali’i to own and live in the Big Island’s only royal residence: Hulihe’e Palace, on Ali’i Drive in Kailua-Kona. Since it was essentially a vacation-house, Hulihe’e is pretty small for a palace: it’s a simple two-story building with a footprint of only 30 X 60 feet, and just three rooms plus a lanai on each floor. A parlor and a dining room flank the center entry hall, above which the sitting-room is flanked by two bedrooms. In Kona alone, there are literally thousands of houses that are bigger; but none has such an illustrious history. Majestically surrounded by an expanse of lawn and trees, Hulihe`e Palace stands on the shores of Kailua-Kona on the Island of Hawai`i across from Mokuaikaua Church, a handsome coral and lava structure arduously built by the island's first Christians. One of the very oldest surviving buildings in Hawaii, it was built in 1838 for the second governor of the Big Island. In 1844, the house passed to his daughter-in-law, Princess Ruth Ke’elikolani, who was half-sister to the last of the Kamehameha kings (IV and V). She willed the house to Princess Bernice Pauahi Bishop, who died young; and although Pauahi’s will created the Bishop Estate, the house itself was sold to King David Kalakaua. The “Merrie Monarch” had it extensively remodeled in high Victorian style, with stucco on the outside, plastered interior walls with gold-leaf moldings, and crystal chandeliers. The rooms are kept, today, as they were commissioned by Kalakaua, and contain many pieces of furniture that he and other royal family members owned and used, along with displays of museum-quality artifacts from pre-contact Hawaii. The historic two-story structure, now a museum, has been restored to the Kalakaua period and features ancient Hawai`ian artifacts and treasured heirlooms. The Daughters of Hawai`i was founded in 1903 by seven women who were daughters of American Protestant missionaries. They were born in Hawai`i, were citizens of the Hawai`ian Kingdom before annexation, and foresaw the inevitable loss of much of the Hawai`ian culture. The walls are made of local lava stone and coral, a full three feet thick, but they were no match for an earthquake in October 2006, which caused both cosmetic and structural damage. The Daughters of Hawaii raised the money for repairs, and were finally able to re-open the Palace this year. So, now you can visit Wednesdays through Saturdays from 10 a.m. to 3 p.m. Admission is only $5, which is quite a bargain for a chance to put yourself back in time, to get a sense of those bygone days when royalty were a living presence in Hawaii. You may also view the Calendar of Events here. Besides the summit of Mauna Kea, there are few places on earth where you can see so many stars so clearly. You’re on top of nearly every cloud, nearly 14,000 feet above sea level, and there’s essentially no smog or air pollution at that altitude. Vog from Kilauea doesn’t blow that way, either: it would first have to climb up and over Mauna Loa, which is very nearly as tall as Mauna Kea, and vog gasses are heavier than air. There’s no “light pollution” here either: as a courtesy to the astronomical observatories, all the streetlights on the Big Island are a dull yellow color that doesn’t register on their telescopes. In fact, hardly any of them are looking for visible light. Most are searching the sky in other “wavelengths,” including infrared radiation (which is invisible but which we notice, mainly, as “heat”), and the even longer wavelength known as “sub-millimeter.” One of the telescopes – the Keck – is actually two telescopes in one, that act like binoculars, and hence give a more three-dimensional image. Mauna Kea has been an enormously attractive platform for viewing the heavens. But that does not mean that astronomy has been popular here. Several groups of native Hawaiians and environmental activists have, for years, vigorously protested plans to construct yet another observatory – one which will contain the world’s largest mirror, thirty meters across. (Technically, it’s a cluster of small mirrors, each computer-controlled, that produce an image equivalent to what would be seen if it were one big chunk of glass ground into a parabolic mirror – but such a mirror would be impossible to transport up, and is probably impossible to fabricate, anyway). The University of Hawaii has never been able to deflect objections to new observatories [see previous blog post], but the UH Institute for Astronomy has recently helped to cultivate a generation of children and young adults who are intrigued by astronomy. The reason is . . . Imiloa. It means “far-seeing,” and it’s a hands-on science museum, located just mauka of the UH-Hilo campus, and centered on the science of astronomy. It houses the only planetarium on the island, and the only 3D projection system as well. Current shows include two that were locally produced: “Awesome Light 2,” which shows distant galaxies that the infrared and sub-millimeter telescopes have explored; and “3D Sun,” with three-dimensional images of solar flares taken from special satellites. The planetarium also draws in new audiences by showing 3D light-shows with rock music. But if that were all, Imiloa would not be so popular. The decision was made, in the planning process, to truly honor the Hawaiians’ cosmology and constellations, and to highlight the Polynesians’ remarkable skill in transoceanic navigation, which was accomplished in the main by a knowledge of the stars. These exhibits stand right alongside those about black holes, radio astronomy, globular star-clusters and space travel . . . with equal weight given to all. Moreover, like a museum in another country (and hence with a nod to the Hawaiian sovereignty movement), the exhibits are labeled in Hawaiian as well as English. There has never before been anything like Imiloa in Hawaii. And if there is a criticism to be made it is simply that somebody should have thought of doing something like this a long time ago! Almost every night, the summit of Mauna Kea stands above the clouds. So, for many years, there was a small shed there, housing a tiny telescope; and University of Hawaii astronomers trekked up to it, all year round, to study the stars under the clearest skies on earth. What they had long wanted, of course, was a fully functional observatory, and in 1970, they got their wish. To built it, there first had to be a road: a gravel-and-cinder route from the Saddle Road to a point nearly 12,000 feet above sea level. And up that road came trucks and construction equipment, and telescopic machinery, and, when the building was completed, a fragile, polished mirror 2.2 meters in diameter – it seemed enormous at the time – on a truck-trailer, creeping along at just a mile or so per hour, so as not to unsettle or – heaven forbid – shatter the great chunk of glass. Hawaiians had for centuries held ceremonies at the summit. In their creation myths, Mauna Kea (literally the “white mountain”) is the piko – the navel, the bellybutton – of the people themselves. On the shores of nearby Lake Waiau, more than 10,000 feet above sea level, many Hawaiians still perform a ritual in which they place the umbilical cords of their newborns on tiny stone altars. Small cabins at the 9,000-foot level were expanded into a year-round dormitory facility for the astronomers and the “night assistants” who ran the machinery for them, and who typically worked four nights in a row, then had four whole days off. Thus, no one had to make a daily commute from sea-level that might provoke altitude sickness: the headache, disorientation and shortness of breath that comes from going up too high too fast. Before the 1970s had ended, however, three more observatories had been erected on Mauna Kea. 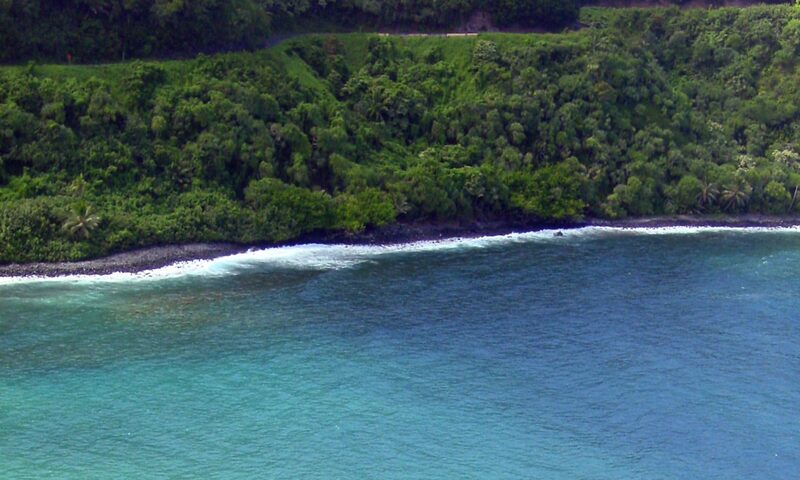 Sentiment in the native Hawaiian community turned inexorably against further construction. And yet, despite their complaints to the University (which administers the summit), their protests at all levels of government, and their vociferous testimony at public hearings, two more observatories were built in the 1980s, and another five(!) were established in the ’90s. Although the actual geological summit of Mauna Kea is and has always been reserved for Hawaiian cultural and religious activities – a ceremonial stone cairn marks the spot – almost all of the adjacent cinder cones now sport observatory buildings. And now, another observatory, which would house the world’s largest mirror, has been approved. This, over the objections not only of native Hawaiians, who see this as a desecration of their most sacred place; but also of environmental activists, who are rightly concerned that the summit’s fragile ecosystem is steadily being demolished, to the detriment of the plants and insects that live nowhere else. Such antagonism would probably have boiled over into outright hostility, by now, had it not been for Imiloa. And I’ll tell you about that remarkable place next time. HERE ON THE BIG ISLAND – Save the Band! There’s been an official island band here, continuously, since the days when Kalakaua was king and it was called the Hilo Band. It’s been the Hawaii County Band since the turn of the last century, however, when the bandstand at Mooheau Park, on the Hilo Bayfront, was built for them. And they still play a free monthly concert there. And they still march in parades and play for many festivities. The Hawaii County band playing in the bandstand at the 2009 Valentine's Day activities. Photo: www.hiloliving.com. Thirty-four of the musicians live in East Hawaii, eleven on the West side. The bandmaster, Paul Arceo, first joined in 1983, when he was a teenager – and that’s not unusual. Many of his band-mates also joined when they were young, perhaps having gained prowess in their high school bands. Others may have come to it as grown-ups. But when you consider all of the local musicians, over the last twelve decades, who have passed through its ranks, there’s a multiplier effect at work. The Hawaii County Band has inspired countless numbers of other folks, young and old – but especially young – to take up an instrument and maybe join a band themselves. And yet, the Hawaii County Band could be out of the County budget next year. The Hawaii County Band, which is part of the Parks & Recreation Department of County of Hawaii, has just been informed that they will not be funded after June 30, 2010, thereby effectively ending a 127 year Big Island of Hawaii tradition. Photo: www.truealoha.com. We, here on Big Island, pay close to $350,000 a year to have a band of our own (it’s in the County’s Department of Parks and Recreation). But our mayor has just proposed to strike it off the books: there’s no item for it in his new budget. Such a cut would be a hardship for the musicians, of course; but a cut would have its own – and rather unpleasant – multiplier effect. How will we generate the next wave of musicians? Where else, here, can you experience the magic of a live concert, or of a marching band on parade? Those are educational experiences! School budgets have been short-changing music (well, all of the arts, really), for years. School bands can barely sustain themselves: or should the County Band also have to hold bake-sales and raffles, or go out and wash cars, to make it to their next gig? There will always be more listeners than players, but a lot of people don’t even try. (Count the ear-buds around you, next time you’re on the street or in a bus.) Learning to play music is hard. It takes practice, and it takes purpose: a reason to practice, something to aspire to. There is simply no better way to encourage musicianship than to see and hear live music being played. And even if you never attend their concerts, you can’t live here without acknowledging that it’s a good thing to have a County Band. The Hawaii County band prepared to march at the 2009 Merrie Monarch Royal Parade. Photo: www.hiloliving.com. Indeed, the local newspapers have been running letters-to-the-editor about this, and not one has taken the side of the cut in band funding. There are several petitions going around (one is at http://www.petition.fm/petitions/savetheband/0/14/), and the band has a Facebook page with more than 1,300 “fans” (http://www.facebook.com/pages/Hawaii-County-Band/336187876716?v=wall). Dozens of folks have been waving hand-made “save-the-band” signs along Kam Avenue, for the past two weekends. Hawaii County Band tunes up for the Pahoa Christmas Parade. Photo: garysafarik.org. So the County Council will take up the issue on March 22. There is reason to hope that the Councilors and the Mayor can find the money, somewhere, and save the band. I, for one, certainly hope – and frankly, I expect – that they will, in the end, do so. It’s not about saving a piece of our local history. It’s about saving something immeasurably important for our future. HERE ON THE BIG ISLAND – It Doesn’t Taste Good, But . . . It Doesn’t Taste Good, But . . .
Kava comes to you in a cup that’s half of a coconut shell. You take a sip. It’s both watery and gritty. The taste is earthy, with hints of tree-bark and . . . oh, gosh – soap!? But a few moments later, your mouth is rather pleasantly numb. You barely taste the second cup, and by then you feel quite relaxed. “It doesn’t taste good,” Dave Stevenson admits, “but it makes you feel good.” And he should know. His kava bar on the Bayfront in Hilo is one of a handful on the Big Island serving this ancient Polynesian beverage. We call it kava (KAH-vah), probably because the Samoans call it “kava-kava.” The Hawaiians have always called it ‘awa (ah-vah), while the Fijians call it yagona (yahn-GO-nah), and the Micronesians of Pohnpei call it sakau (sa-kow). The different names reflect only geographic and linguistic – not botanical – differences. All around the Pacific, it’s the same plant: Piper Methysticum, so-named because it’s a member of the pepper family that produces intoxication. Missionaries didn’t approve of it, but neither did they get it outlawed; so it’s never been illegal. Extracts and tinctures (infusions in alcohol) have been sold by herbalists and pharmacists for well over a century. Yet kava was never very popular as a “drug,” not even among the countercultural population, because – unlike marijuana or LSD – it is not hallucinogenic. It’s a mild tranquilizer, a bit like beer in that it relaxes you, although some people also find that it also relieves minor pains. The day I visited Stevenson’s Bayfront Coffee, Kava & Tea Co. two women from Iceland were sipping kava to help overcome their ten-hour jet-lag. Historically, kava was a ceremonial beverage, and in many Pacific island groups it’s still prepared under strict rituals, dipped from a communal calabash bowl, and served in a cup that’s passed from hand to hand, while legends and stories are told around the circle. (In ancient times, Hawaiian boys and girls chewed the roots and spat them into the bowl before the water was added. This is no longer done, anywhere, at least not in public.). Like the sharing of a tobacco-pipe among Native Americans, kava ceremonies in some societies of Oceania were also held to cement a peace or truce after a conflict, both for the symbolism of the rituals and for kava’s relaxing effect on the participants. In today’s kava bars, a cup costs about $5: what you’d pay for a glass of wine or a bottle of beer in a tavern. In local farmers’ markets, or online, dry powdered kava comes in zip-lock baggies and costs about $30 a pound. The basic preparation is simply a cold-water infusion. Mix half a cup of kava in two cups of water, let it stand for about half an hour, and then strain it or squeeze the juice out through cheesecloth. The liquid can be plain water or coconut juice (Stevenson calls the latter “ali’i style,” after the Hawaiian word for royalty). Stevenson has been tracking kava for many years. “My background is in food-preparation,” he said. “I grew up in Florida, and worked in the citrus-processing industry. When I got to Hawaii, I became the test-customer for a local kava bar, and that’s what got me interested in starting my own,” which he eventually did. His bar at 116 Kamehameha Ave. opened in 2007. “Kava is best in the afternoon or evening,” he explained, “when its social aspects can kick in. It does promote social interaction, but unlike pot or beer, there’s no loss of mental clarity. And ladies will find that there are no belligerent drunks in a kava bar. Sherlock Holmes once visited the Big Island – and now he’s coming back! Holmes was an early crime-scene investigator. Keen-eyed and sharp-witted, this most famous of fictional detectives solved murders that baffled the police of the Victorian era by focusing on seemingly insignificant clues. Would we have “C.S.I.” on TV today without having first seen Holmes tracing footprints, or examining threads, pebbles and fingerprints with a magnifying glass? Though based in London, he visited the Kingdom of Hawaii in November of 1890 with his friend and biographer Dr. John Watson. It was supposed to be a restful vacation at the Volcano House, but they found themselves confronted by a mysterious calamity of madness and murder with supernatural overtones, that came to be known as “The Volcano Horror.” To discover the cause, and to identify the killer, they had to take a dangerous plunge into a realm of terror and death, right there on the edge of the crater! This all happens in a stage play written, produced and directed by my friend Hal Glatzer, referencing one of the short stories by Sir Arthur Conan Doyle. Sherlock Holmes & The Volcano Horror, March 4th, 5th, 6th, 12th & 13th at 7pm. “Sherlock Holmes & The Volcano Horror” will be performed in the Theater at the East Hawaii Cultural Center, in downtown Hilo, at 7 p.m. on Thursday, Friday and Saturday March 4, 5 and 6; and at 7 p.m. on Friday and Saturday March 12 and 13. Tickets are $10 (EHCC members $8), and are available now from the EHCC Box Office: 935-9085. Several of the actors also appeared in “The House Without A Key,” Glatzer’s Charlie Chan mystery, which was presented at EHCC a year ago, including Jake McPherson (as Holmes), and Steve Peyton (as Watson). In Sherlock Holmes’s day, the Volcano House was a one-story log cabin, built in 1877, with a lanai on its long side and a big fireplace in the parlor. It could accommodate 35 guests, and was owned by Wilder’s Steamship Company, an inter-island line. Since there was only a trail to Kilauea from Hilo – not even a road – most visitors were tendered ashore at Honuapo, in Ka’u, and driven uphill in horse-drawn carriages. When a new Volcano House was built next door, in 1891, the old log cabin became an extra guest-wing. In 1921, a grand 100-room hotel replaced them both on the rim of Halema’uma’u crater, and the 1877 building was moved a few hundred feet back from the edge, to be used only for storage. That was fortunate because, when a fire in 1940 destroyed the big Volcano House, the old building was spared, and was pressed into service as a lodge once more, until the current Volcano House was completed in 1941. After that, the old building sat unused and deteriorating until the 1970s, when it was rescued by a team of historically-minded carpenters. They restored it to its original appearance, and made it into what it is today: the Volcano Art Center, in Hawaii Volcanoes National Park. Go there now, and you can almost see Holmes and Watson talking and smoking by the fireplace, or sitting on their lanai, gazing out over the crater . . . . The building that was used as the Volcano House Hotel from 1877 to 1921 now houses a gallery for the Volcano Art Center, in Hawaii Volcanoes National Park. I learned “The Story of the Volcano House” from a book of that name by Gunder E. Olson, that’s available in the Park’s gift-shop and at Basically Books, on the Bayfront in Hilo. For more information about “Sherlock Holmes & The Volcano Horror,” phone Hal at 808-895-4816 or email him at hal@halglatzer.com. Most “historic” homes here are merely old, and not especially significant in local history. Fewer still are also visitor attractions. But among those that can rightly be considered of historical value, and well worth a tour, none is more important than the Parker family seat, Puuopelu. Unfortunately, it’s now closed. It stands a hundred yards or so off Hwy 190, on the dry side of Waimea – also called Kamuela, the Hawaiian rendition of “Samuel,” and specifically Samuel Parker, next to whose ranchland the town itself grew up. Samuel’s father, John Palmer Parker II, created the eponymous Parker Ranch in the early 1800s, under a grant from King Kamehameha I himself, to round up and fence in feral cattle that had become a nuisance. His original home, a few miles away, was a cottage in the New England “saltbox” style, but whose entire interior – walls, ceilings and floors – were paneled in wide koa boards. 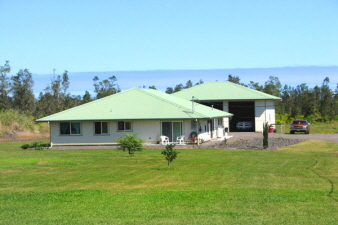 In 1879, Samuel acquired a Victorian mansion called Puuopelu (literally a “pile of stones” but figuratively the “folding hills” of Kohala, which border the property). It has been the family seat ever since. Several generations have remodeled and expanded the house, and in 1986 John Parker’s cottage was dismantled, moved, reassembled and erected right next door. That was a favorite project of Richard Smart, the home’s most colorful Parker heir, and the last of his family to have owned the ranch outright. Richard Smart. Photo courtesy Parker Ranch. Though an expert horseman, and a serious collector of European art, especially fond of paintings of Venice, Smart was not a rancher by profession. Mainly, he was a singer, actor and theatrical producer, and in that capacity was largely responsible for the creation of the Kahilu Theater, a marvelous performance venue, which now stands in the Waimea shopping center that’s also named after the Parker Ranch. Since Smart’s death in 1992, ownership and operation of the ranch and of Puuopelu have been the responsibility of the Parker Ranch Foundation Trust. But the Trust has lost money in recent years, forcing it to sell some 3,500 (of its 130,000) acres of ranchland for residential development. And this past January, it announced that the historic home would be closed to visitors. An exception was made, though, for the weekend of the Cherry Blossom Heritage Festival, during which admission was free! The celebration of the first cherry blossoms of the spring dates back to 7th century Japan. Aristocrats of the day would enjoy the blossoms while writing poetry beneath the flowering branches. Today “hanami” (literally hana, flower and mi, look) is the single word in the Japanese language that means “Cherry Blossom viewing party.” Photo courtesy Parker Ranch. A Trust spokeswoman told the West Hawaii Today newspaper in January that the Ranch will continue to offer visitors horseback and all-terrain vehicle tours, and hunting excursions, on the land. (Go to www.parkerranch.com for details.) It’s only the house-tours that will no longer be available. Riders will feel like Hawaiian paniolo (cowboys) as they ride through old stone corrals where up to 5,000 Hereford cattle were once rounded up after being brought down from the slopes of Mauna Kea. Photo courtesy Parker Ranch. So, what will be missed? Plenty. The estate includes John Parker II’s old koa-paneled cottage, a carriage-house with two of the family’s own buggies, and an Italian-style parterre garden that sits above a lake-size pond. The main house has Victorian and early 20th century furnishings, as well as Richard Smart’s important art collection. Inside Puuopelu, too, are some museum-worthy historical documents, such as the formal commission making Richard’s father, John Parker III, a cabinet minister to Queen Liliuokalani; and a handwritten letter of thanks to him from a grateful visitor: the Queen’s predecessor, her brother, King Kalakaua. Folks here call it pakalolo – “paka” being the Hawaiian rendering of “tobacco,” and “lolo” meaning crazy. And “crazy tobacco” is front-page news here because what it is . . . is marijuana. It should not surprise anyone that a lot of pakalolo is grown and consumed in our tropical climate. Hawaii was also among the earliest states to allow the medical use of marijuana; and is the only state, so far, to have enacted such a law through the legislative process, instead of by referendum. A discreet backyard greenhouse with four pakalolo plants. But the Legislature did not create a legal framework for cultivation or distribution; and counties alone can not change state or federal law. Still, in the 2008 election, 35,682 Hawaii County voters approved a ballot initiative that directed Big Island police to make the enforcement of state and federal marijuana laws their lowest priority; and it set the threshold for regarding possession as a serious infraction at 24 plants and/or 24 dry ounces of pot. The outcome certainly surprised the initiative’s 25,937 opponents, and may have amazed even its proponents. Here on the Big Island, regardless of party affiliations, there is widespread sympathy for countercultural and/or Libertarian ideals, especially about conservation, self-sufficiency, and privacy. The voters who approved this resolution clearly regarded pot as harmless or, at worst, a benign indulgence; and certainly not as a “gateway” drug to addiction or as a threat to “family values.” It was a state Representative from the Big Island (Faye Hanohano) who in 2009 introduced a bill to decriminalize marijuana possession. Not surprisingly, it was voted down. But some such bill – or at least, one that enables cultivation and distribution of medical marijuana – will surely be introduced every year from now on, and will inevitably pass. Immaculate large custom home with cathedral ceilings on quiet Koloa Maoli (Road 9) in Hawaiian Acres. The interior features easy-care laminate flooring, gorgeous African Mahoghany cabinetry in the kitchen, tiled bathrooms and high ceilings throughout. This spacious custom 4 bedroom, 3.5 bath home has extra bonus space too! 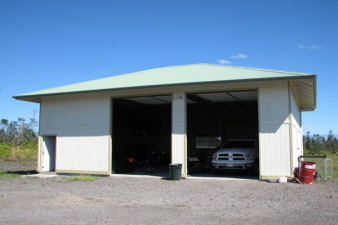 A separate farm and utility building has double extra-height Martin garage rolling doors — ideal for a home gym, boat or farm vehicle storage, vehicle repair area, art studio, or a large home office. And … adjacent to the home’s enclosed 2 car garage is a bonus room with a half bath. A sliding glass door provides access to the outside. Situated on 3 acres that have been ripped and rolled (prepared for planting with a bulldozer which creates drainage). There are a variety of fruit and ornamental trees including Lychee, Tangerine, Dwarf Banana, Avocado, Mango, Navel Orange, Lemon, Lime and Ulu (breadfruit). Eight different varieties of Plumeria flowering trees adorn the driveway. Fragrant Gardenia, Pikake & Tiare plants grow around the house. A border of Podocarpus trees have been planted to provide privacy. The entrance is fenced and gated, with paved road access on Road Nine from the Kurtistown Highway. 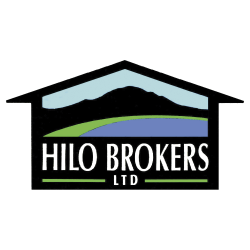 Located only one mile from the Highway, with close access to Hilo, Hawaii’s second largest city. Great site for a peaceful, rural lifestyle and to grow your own food.